The Hebrew Alphabet designed in a circle is a symbol for Eternity. In the middle are the two letters Het and Yod which together spell Chai-Life in 23K Gold Leaf. The same Gold is used for the accent dots in between the letters as well as the line separating the Hebrew text from the English translation. 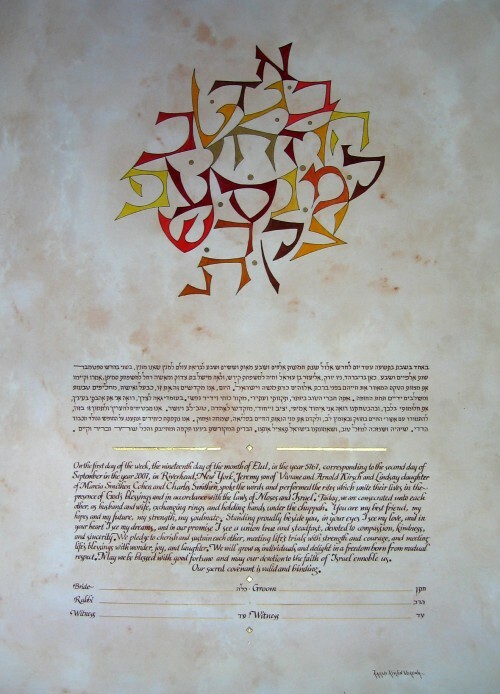 The Egalitarian Hebrew text and the English translation are written in brown and compliment the various shades of brown of the Alphabet letters.